The worst thing about this time of year is that I only have one race to write about, so when the polling stabilizes and there’s no news, I run out of things to say. So forgive me for only giving a quick mention of the new Fox poll because it just confirms the polling we’ve already seen in recent days. Is it possible for all the polls to be wrong? Sure, just ask Sharron Angle why she’s not in the Senate. But I’m not sure Newt Gingrich has to worry about those kinds of special circumstances right now. He’s just ahead. Facts: Anderson Robbins Research/Shaw & Company Research for Fox. 356 GOP Primary Voters, MoE 5. Newt Gingrich 36, Mitt Romney 23. Hardly distinguishable from the previous result we saw, Gingrich 37, Romney 23. 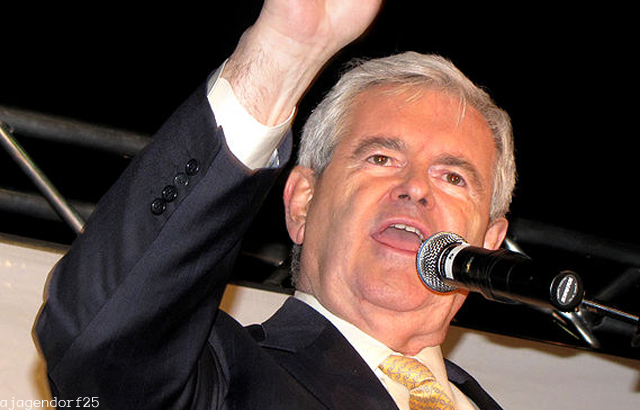 Herman Cain’s exit has funneled voters to Newt Gingrich. Barring new news that’s the ballgame.